Halloween is coming, which means creepy costumes, too much candy, pumpkin spice everything and wonderful parties. 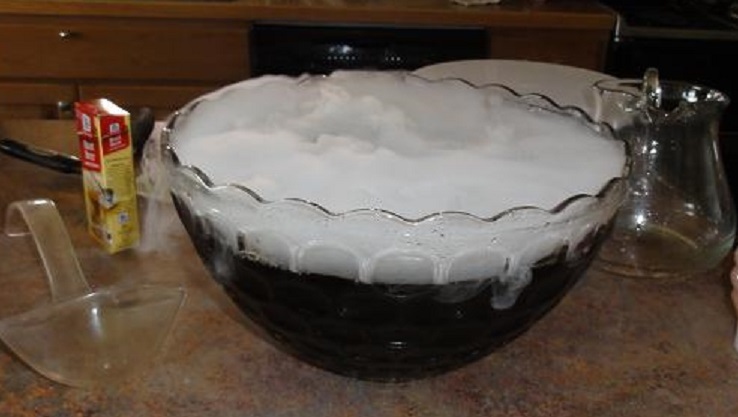 And what Halloween party would be complete without a big cauldron of bubbling brew? Here’s a recipe that I’ve been perfecting for witches brew root beer, guaranteed to be a hit. Make it in a cauldron or a punch bowl if you don’t have a cauldron. But seriously, if you’re going all the way, you really should get a cauldron. Nothing impresses your friends like a big ol’ cast iron cauldron bubbling with root beer, except for the flavor of this root beer. Add sugar, honey, vanilla, root beer concentrate, spices, and 4 cups of water in a pot and bring to a rolling boil while stirring. Reduce heat and let the mixture boil on low for 10 minutes, stirring occasionally. Add to cauldron with the rest (28 cups) of the water.